A butterfly valve is a type of valve that regulates the flow of water (or oil) with the use of a rotating disk mechanism. 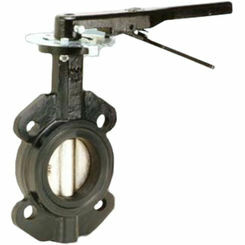 It's part of the quarter-turn family of valves and there are different types of butterfly valves, even. 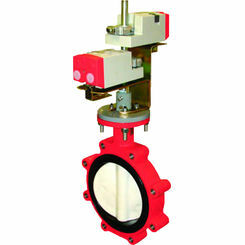 For example, there is the zero-offset (concentric) butterfly valve which offers a low pressure rating because it operates using flexible rubber. There is also the double offset (doubly eccentric) butterfly valve, which can deal with more pressure. The triple offset (triply eccentric) is the strongest option for dealing with high water pressure. 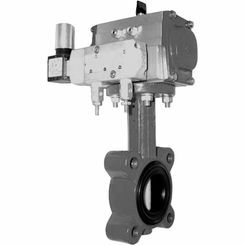 At PlumbersStock, we carry excellent brands you know and love, and it's no exception with butterfly valves. 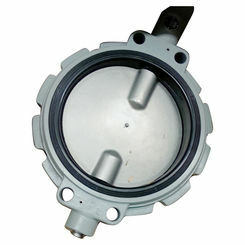 Check out all the Honeywell options!